This is Cynthia’s story. It’s a follow up to White is the Coldest Colour written in her own unique words. We now watch as she takes the tentative steps of complete honesty, from her formative years in happier times, until we reach the tragedy where time stood still, then we’re left to stare wide-eyed at the warning signs she failed to interpret until it was too late. The format is quite different from book one, as this is written in a candid journal form, the details of which hope to offer a greater insight into Cynthia Galbraith’s experience of living her husband, a medical professional, whose main attribute was channelling his Jekyll and Hyde personality to enable him to indulge in his own sick fantasies. Once again, the story is psychologically acute, touching on some dark and upsetting events. To give you a little background, as a psychologist, Dr Galbraith (Dr Despicable more like), possessed the knowledge to manipulate those around him and yet his work earned him great status in his field. By the end of the twisted first book we knew precisely what he was capable of, but couldn’t quite believe it. The words Cynthia commits to paper are part of a therapeutic healing process while she is committed to serving a prison sentence. It allows her to recount the horrendous events that have transpired and come to terms with the haunting visions in her mind. The journal contains the sequence of events leading up to her incarceration, plus the odd random thought to give clarity to her fragile state, including the opinion she holds of herself and of the people she finds herself ‘acquainted’ with behind bars. There’s a twisted rhythm to this eye-opening sequel. Just like book one time passes flashes by when reading, as Cynthia’s voice speaks volumes this time round. The inclusion of subtle, disturbing details within a relationship that are missed early on could be difficult to project, and yet the author did this with ease. Conveying how someone’s entire life can alter course to this degree in around 270 pages is quite outstanding. For anyone who hasn’t met ‘Dr Vile’ yet, I suggest you visit White is the Coldest Colour before embarking on Cynthia’s disturbing journey. Whilst this is brilliantly written in its own right, you will despise the hateful character who is the source of many an innocent’s anguish much, much more if you do. Otherwise you could find yourself wondering what it’s all about at first, as it does take a little while to get to the nitty-gritty for those unfamiliar with previous events. Although certain circumstances can be a little hard going at times and may not be to everyone’s tastes (it’s less psychological thriller and more psychological torment), I have no hesitation recommending both books. Although unconvinced at first, Cynthia finally decides she has all the time in the world and very little, if anything, to lose. She begins writing and holds back nothing: sharing the thoughts she hadn’t dare vocalise, the things that keep her awake at night and haunt her waking hours. John Nicholl’s first novel entered the Amazon top 100 bestsellers chart after just 15 days, and reached # 1 in British Detectives and Vigilante Justice. The author wrote articles relating to child protection for newspapers and a national social work magazine during his career, but this is his first novel. He lives in rural West Wales, has been happily married for many years, and has three adult children and one grandchild. A thought-provoking book for sure, more accurately one that plays with your mind, The Theseus Paradox demonstrates a ‘fictional’ version of events leading up to the 7/7 bombings and the aftermath that ensued during the official investigation into the who and why. Sometimes the laws that are used to protect citizens also bind the hands of our authorities. Well, that’s what Jake’s are for, and our lead character is a complex soul. Detective Inspector Jake Flannagan of the Anti-Terrorist Branch can be described many things: a family man, a ladies man and an all-out action man when required, all rolled into one determined package. Ultimately, he never shirks his duty to discover the truth, much to his own detriment. In fact, he goes above and beyond what is required. And yet, the responsibility of endeavouring to save hundreds of lives is a heavy burden to carry and he’s only human after all. Often he finds the best way to anaesthetise his thought process by relieving the closest bar of their entire stock of alcoholic beverages, or spending time in the company of various ladies. Usually both. Despite the company he regularly keeps Jake still seems very much alone. There are few people he can trust in this line of work, and circumstances beyond the official investigation of that fateful date tie the truth in knots. The frustration of getting no where fast while your life is falling apart can lead to bad decisions, both personal and professional. With everything at stake to get results he takes chances, some of which may come back to haunt him when he least expects it. And that’s what so good about this predominantly action-lead storyline. Not only do we have a character that has guts and foresight to act as a barrier between the unscrupulous minds of lethal criminals and the unsuspecting public, but one who is also consumed by his experiences and despite his daily heroics is unable to save himself. You may judge him by his antics at first, I know I did, but you’ll soon appreciate his multiple predicaments and the difficulties they present. More importantly, The Theseus Paradox is a story that turns everything on it’s head. Open your mind to an intricate plot that will challenge any concept you think you had. It doesn’t bend the rules, it wrings them out. It’s devious enough to be genuinely unsettling, as this alternate vision appears almost too real at intervals. Given the author’s background as a former Scotland Yard Investigator of the 7/7 London bombings in July 2005, it does make you think – exactly how fine is that line between fact and fiction? Okay. To summarise: Seriously people, you need to read this book. It’s pretty darned good. We accepted it was terrorism. But what if we were wrong? What if London’s July bombings were the greatest criminal deception of our time? 7 July 2005: in the midst of Operation Theseus, the largest terrorist investigation that the UK has ever known, Detective Inspector Jake Flannagan begins to ask difficult questions that lead to the mysterious disappearance of his girlfriend and his sudden suspension from the Metropolitan Police. Who masterminded London’s summer of terror? Why can’t Flannagan make headway in the sprawling investigation? Are the bombings the perfect ploy to mask a different plot entirely? Is Jake’s absent girlfriend really who she claims to be? While hunting for the answers to the most complex terrorist case in British history, one man will uncover the greatest criminal deception of our time. Terror, extremism and fear of the unknown, Sometimes the answer is much closer to home. David Videcette is a former Scotland Yard investigator within the Metropolitan Police who has worked on a wealth of infamous cases. With twenty years of police experience, including counter terrorist operations and organised crime, David was a detective in the Anti-Terrorist Branch during the 7/7 London bombings in July 2005. David has entered and searched thousands of properties, placed bugs on cars, chased suspects up train tracks and vehicles down motorways. Today he uses that experience in his writing, as the author of a series of detective novels starring DI Jake Flannagan. The Theseus Paradox is the first novel in the series. Humongous thanks and Meeerrrrry Christmas to you! Crikey, that year went a bit quick, didn’t it? 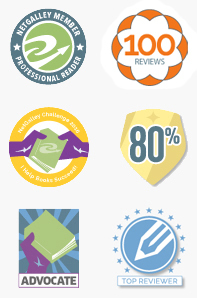 That’s why it came as a surprise when Goodreads informed me that apparently I’d read over 100 books this year. If you’d asked me to guess I’d have said 60, tops. It’s not something I keep count of (how silly of me) and at first I thought I’d stumbled onto someone else’s profile! Well, here it is, ‘My Goodreads Year in Books – 2015’. I’ve thoroughly enjoyed each and every Kindle, Paperback and Hardback copy for completely different reasons, which is why I couldn’t possibly dream of compiling my favourites in a post of their own. I think 5/5 rated reviews will give you a hint of which ones they are anyway! I only started the blog in March and I’m massively grateful for each and every visitor who has taken the time to stroll down Little Bookness Lane, be they reader, blogger, author, or publisher. It’s been loads of fun and lovely to meet you all, so allow me to wish you a truly wonderful Christmas and all the very, very best for 2016.
beware of low flying reindeer. Leaving only a note to state her intended whereabouts, young Lady Evelyn Carlisle hastily packs to escape the monotony of her life with Aunt Agnes, leaving a miserable, rain soaked England behind her. She sails toward adventure and into the open arms of hospitality offered by her cousin, Briony and her husband, Jeffrey. Their gorgeous Cretan home nestled amidst spectacular scenery and the warming rays of sunlight are everything she dreamed of – yet the idyllic surroundings are riddled with deceit. Shortly after her arrival, the discovery of a body of among the grounds disturbs the welcoming atmosphere and leaves everyone wondering if they’ve been dining with a potential murderer. Suspicions are raised, but everyone seems too lovely or well-respected to morph from friend to fiend during the course of an afternoon! Before long, Evelyn politely pokes her little nose into other people’s affairs, discretely, of course, as only a true Lady would. In the process she uncovers all manner of unsavouriness while dicing with danger herself on occasion. Still keeping up appearances, Evelyn hopes her amateurish meddling will assist the authorities, who have been slow to produce results. Although the police have several lines of enquiries, their investigation appears as easy going as Island life itself. The young sleuth also wonders if her clue solving could help Daniel, an intriguing house guest and longstanding friend of the deceased. And if a murderer lurking in the shadows wasn’t enough, a callous thief is on the loose, as there are missing artefacts to find from Jeffrey’s museum dig! Just how well do these English settlers know the close knit community and even their own acquaintances? All will be revealed by peeling back the layers of a world where a War changed the people in it forever. We see how secrets can breed unhappiness, but the bond between the cousins remains unbroken and the little conversation snippets into their personal lives are truly wonderful. Combine the food, the fashion decisions, and the community spirit and there’s a genuine sense of Cretan life and culture, topped with a classic English twist. The island setting lifts what could have been a run of the mill mystery and turns it into an rather interesting read. There are no major thrills or gasps of horror in store, just a well written murder mystery of the gentler paced variety to keep things bubbling along until the end. Personally, I found the pace a little slower than I’m used to, but it was an enjoyable distraction nonetheless. If you’re partial to a traditional who-done-it with a relaxed pace and delicate hints of romance, then A Poisonous Journey will be right up your street. The year is 1925, a time that hovers between two catastrophic wars, a time of jazz and sparkle, and a time of peace and reflection. For Lady Evelyn, struggling to outrun the ghosts of her tragic past, it is a time of transformation. Left orphaned after a fire when she was only four, Lady Evelyn Carlisle was raised in London by her stern aunt and uncle. Now, twenty years later she has grown restless and is keen to escape her chaperone’s grasp. A letter from her cousin, Briony, living with her husband on Crete, comes at just the right time. Packing what she can, Lady Evelyn makes off for foreign shores. Welcoming her are not only Briony and her husband, Jeffrey, but also his handsome and mysterious friends, Caspar Ballantine and Daniel Harper. Though the latter carries with him tragic memories of the Great War, Evelyn is glad to be in their company. With the sun warming her back and the dazzling sea in her sights, this fresh start seems destined for happy days ahead. Little does she know . . . What starts off as a sunny holiday quickly turns into a sinister nightmare, when Evelyn stumbles across the corpse of one of her cousin’s houseguests. Drawn into the mystery surrounding the murder, Evelyn embarks on a mission to discover the truth, forcing her to face her own past as well as a cold-hearted killer. With the help of her cousin, the handsome local police detective, and the mysterious Daniel Harper, will she uncover the truth, before another life is claimed? A varied cast of characters, an engaging mystery at its core, an exotic setting, and a thoughtful, plucky heroine provide a story that will appeal to fans of many genres. This meaty brick of a book is a continuously evolving fantasy. It follows a life-after-death trail that will ignite your imagination where there are no limits. Its furiously bizarre episodes will appeal to anyone with a liking for otherly places, where pretty much anything goes. With zero profanity and plenty of action it was a absolute breeze to read. Paul Reid, the main character, dies. No, that’s not a massive spoiler and I’ve just ruined it for you. From the point of his demise, his life-after-death episode is very much different to what you would expect and it tests his inner resolve to the max. He finds himself wandering in what can only be described as an afterlife of sorts, otherwise known as The Commons. To give you an idea of the situations our young hero faces during his incarceration there, Paul’s journey through The Commons is guided by an old envoy called Porter, although the young lad soon realises that any choices he makes are entirely his own and may have direct consequences for the rest of the inhabitants. The envoy is a little out of practice with the game that is afoot, as The Commons has been under siege for quite some time. Paul and his envoy will face a nemesis with the sole purpose of controlling any life essence that clings to the unfortunates who arrive to start their own journeys. Along the way, seemingly everyday situations are fraught with oddities and tension. There’s a whole host of intriguing characters, like a well-mannered, giant bandaged mummy, and a monk who prefers to communicate by sign language as his voice is dubbed like a seventies martial arts film. There are supressed souls, menacing underwater creatures, and an Autistic boy, Zach, who discovers new abilities with the help of unexpected sources when he is separated from his mother during a perilous journey of his own. The threat is constant and order seems impossible when sly tactics are at play. Can a fractured group of very different souls succeed in restoring balance? Just how far can they trust each other? This is a fairly weighty book tipping the scales at 538 pages and yet the time flew by as is explored an interpretation of ‘limbo’, while taking into consideration the life people have lead and the choices that face them at the hour of death. At the moment, people entering The Commons do not get that luxury. The decisions are made for them under a dictatorship that is, the formidable Mr Brill – who survives on a diet of fear and evil, and his shadow has a very long reach. The ending allows further progression and I’d certainly be interested in seeing where the next journey would take me. Alrighty then. I like a quirky story and this was undoubtedly impressive on that score. It’s certainly a thought-provoker too, although I feel this would appeal more to readers who embrace fantasy or science fiction elements, as it’s not your average, run-of-the-mill tale. And so begins the battle for the afterlife, known as The Commons. It’s been taken over by a corporate raider who uses the energy of its souls to maintain his brutal control. The result is an imaginary landscape of a broken America—stuck in time and overrun by the heroes, monsters, dreams, and nightmares of the imprisoned dead. Three people board a bus to nowhere: a New York street kid, an Iraq War veteran, and her five-year-old special-needs son. After a horrific accident, they are the last, best hope for The Commons to free itself. Along for the ride are a shotgun-toting goth girl, a six-foot-six mummy, a mute Shaolin monk with anger-management issues, and the only guide left to lead them. Three Journeys: separate but joined. One mission: to save forever. But first they have to save themselves. Michael Alan Peck tells tales big and small. Life’s magical, but it isn’t always enough for a good story. So he makes up the rest. He’s made his living writing about TV, its celebrities, and its past. He’s also put food on the table reviewing restaurants and writing about travel. He has a godawful memory, so he focuses on the written word. He likes to think that over time, he’s gotten better at it—the writing, not the remembering. He forgets important dates. He’s pretty good with movie lines. But after several years, he tends to tweak them. He prefers his versions over the real ones. Funny goes a long way with him. Probably further than it should. He grew up outside Philadelphia and has lived in New York, L.A., and San Francisco. His current home base is Chicago. Chris James continues Jacob Silver’s demise in the next instalment of ‘Alchemy’ with this surreal and imaginative Victorian world of dastardly deeds and murderous intentions. In Book One, it was believed that the souls of ladies with certain traits could be captured to create an elixir, which would promise immortality to the person consuming it. Well, following lively courtroom exchanges, Jacob Silver was found guilty of being a wicked serial killer and had been sentenced to death. Young Lizzie, whom Jacob unknowingly cured of consumption with his potions, never believed the verdict and vowed to clear his name, despite her father’s insistence that she should leave the damned thing alone. This outing sees the battle to prove immortality exists and to discover the identity and whereabouts of the elusive professor, who coached Jacob in the dark science yet absconded without a trace when the arrests for murder of the ladies were being made. A mysterious, crooked villain is starting to make appearances at the site of many a hideous scene in Book Two. Despite the development of revolutionary techniques to gather evidence, this cloaked figure is one step ahead of the humble authorities, who bumble through the investigation with the lives of many a civilian in their hands. There’s much more back history in this story. We’re transported hundreds of years into the past to offer an explanation how an Alchemist’s recipe for immortality came into existence and provide more plausibility of the science applied in the early 20th century and, more importantly, the reasons for the specific ingredients that were used. Turning Silver to Gold is a blend of horror, fantasy, crime and history. It’s gritty and imaginative, and there’s some great character interaction – I loved it when Conan Doyle’s fabulous investigative medical services were called for to address the inexplicable. Then we discover that Queen Victoria isn’t fussed about bending the rules when it suits her, and I don’t think her subjects would be amused! Although a new love interest is on the cards for Lizzie, knowing whether Jacob is innocent or guilty is always in the forefront of her mind – especially when she discovers his corpse is no longer secured in his coffin. History could easily repeat itself and someone may get away with murder…the question is – whose? There are some great lines and bizarre occurrences, which it’s best not question, just set reality aside for a while and enjoy. I’d also strongly suggest you read Book One first, as you’ll appreciate Jacob Silver’s predicament much, much more. A sensational murder trial begins at the Old Bailey, the accused having apparently been hung for similar shocking murders, in 1895. How had Jacob Silver escaped the hangman? Where was he, these last 20 years? Lizzie Weston, his only surviving model, was convinced he was innocent the first time. But after the evidence against him unfolds, she’s sure he’s guilty this time. Jacob Silver, having unravelled an ancient recipe in the old tome: Alchemy, is convinced he is immortal, and that’s how he survived the hanging. Improving his skills over the last 20 years, he now claims he can raise the dead. The prosecution allege he murdered five more women for their souls ~ as Alchemy, the manual of murder prescribes. But is anything as it seems? A former murder squad detective in England, Chris was often the lead-detective in murder trials. No stranger to murder and the macabre, he was a regular contributor to British True Crime television series. He has maintained an interest in criminology his entire adult life. In 2006 he moved from England to Mallorca, a beautiful Spanish island in the Mediterranean, where he is a keen yachtsman. “Alchemy: a story of perfect murder” – is his debut novel, and the first of a trilogy. The Jazz Files encapsulates the highs and lows of an era shortly after the First World War. With the author’s discretion, certain historical facts have been remoulded to fit this story, where we follow the young and ambitious Poppy Denby as she pursues a career in journalism. Poppy was invited to London to work as a companion to her aunt, an actress and feisty member of the suffragette movement. Her aunt encourages her niece to fight for the employment she desires, after all, it’s what she and her friends campaigned for, and some of them did not survive. But no amount of support and encouragement will prepare her for the danger she is about to face, where blackmail, unsavoury characters, and evil shadow from the past all thrive. Starting as an office assistant Poppy will meet all manner of larger than life characters, each having their own piece of unique history attached. For starters, there’s her boss, who is an ‘all American editor’ called ‘Rollo’ Rolandson. He gives the bright young gal a chance, when a missing editorial slot needs filling urgently. Having a friend in the arts is a Godsend, as she can get the interview she needs to set her on the right track. Little did she know that journalism could lead to such deadly pursuits! There are such delightful ones too, as a dashing newspaper photographer has a twinkle in his eye for young Poppy. Their relationship inside and outside the paper’s offices is played out wonderfully. Soon, chases, betrayal and a cloak and dagger rescue are all on the cards. Poppy chips away at information she gains during her employment hoping to discover the truth about her aunt Dot’s accident, which left her confined to a wheelchair. And what really caused the death of her aunt’s friend? Then, there’s the fate of a poor woman held in an asylum hanging in the balance! Who is responsible for causing such grief and how can they be stopped? This is difficult to discern, as most of the people Poppy meets have secrets they are not revealing. With the embittered memories for the loss of their old friends and exposing those responsible, this is an incredibly engaging story. Told in a rhythmic, breezy style, our marvellous mystery solving gal perseveres, despite the many obstacles both her gender and difficult circumstances present in the age of The Jazz Files. It’s safe to say I adored this book and would happily recommend it to those who like being transported to a different time, where an adventurous journalistic crime mystery will keep you on your toes – the 1920’s have never felt more alive! Through her friend Delilah Marconi, Poppy is introduced to the giddy world of London in the Roaring Twenties, with its flappers, jazz clubs, and romance. Will she make it as an investigative journalist, in this fast-paced new city? And will she be able to unearth the truth before more people die? Formerly a journalist, Fiona Veitch Smith has written books, theatre plays and screenplays. She is best known though for her novels and children’s picturebooks. Her ‘Young David Picturebook’ series (illustrated by Amy Barnes Warmington) are based on the Biblical character of King David when he was a young boy. ‘The Jazz Files’ is the first novel in her mystery series, Poppy Denby Investigates, and is set in the 1920s. Her standalone novel, ‘The Peace Garden’, is a romantic thriller set in England and South Africa. She lives with her husband, daughter and two dogs in Newcastle upon Tyne where she lectures in media and scriptwriting at the local universities. She has a passion for cheesecake, Pilates and playing the clarinet – preferably not at the same time!